From the McKenzie Collection. 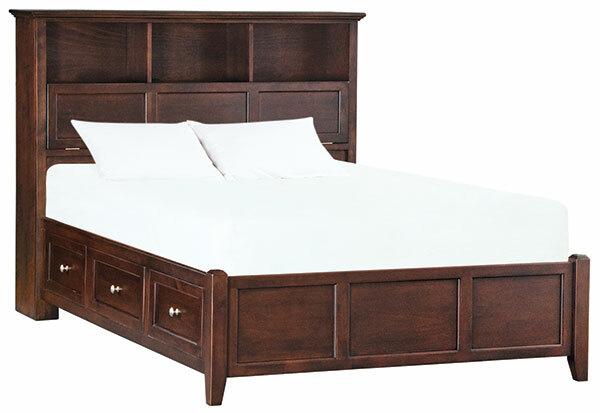 Features: Headboard cubbies with cord access holes, hinged door below cubbies with power strip & large concealed storage area, 6 drawers, English dovetail drawer construction, full extension ball bearing drawer slides. Available in Caffe (shown), Glazed Antique Cherry or unfinished. Sizes: Twin, Full, Queen(shown), King and Cal-King.